When thinking about ways to reduce pollution, EVs can make a world of difference. And, when charged using renewable energy sources, they produce no emissions and can be much cheaper to operate than traditional, internal combustion vehicles. As such, let’s take a look at the global EV market and impacts in the U.S. on the electric grid in two environmentally progressive states ‒ New York and California. Tesla invested $5 billion in its Nevada gigafactory – where they will make batteries for EVs – and is grabbing headlines with the roll-out of its first mass-market EV, the Model 3. Volvo made waves by announcing its intent to focus new vehicle production solely on electric and hybrid vehicles. The company is owned by Geely Automotive holdings, a Chinese firm, and many speculate that China’s pervasive air pollution problems and a desire to find a long-term solution were a motivating factor behind the announcement. Mercedes Benz is investing $740 million in a new battery factory. These exciting developments all point to a trend where electric cars are much more than just a niche – indeed, they show that global competition is heating up quickly and that companies around the world see EVs as key to the automobile industry. These movements should not be understated, as it gives a hint of a clean energy future that can’t come fast enough. EV expansion must be paired with strategies for how best to integrate them without negatively impacting the electric grid. Chase innovation: Testing out more nascent technologies, such as vehicle-to-grid capabilities, will ultimately help make EV charging more convenient and ensure the electric grid can cleanly and reliably handle a significant uptick in electrified transport. 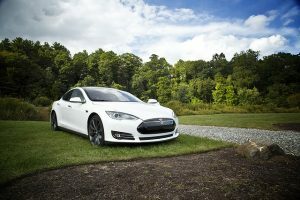 Educate consumers: Utilities must ensure their customers are well-positioned to take advantage of EV benefits by educating them about how their charging behavior can impact the grid and the integration of renewable energy. More specifically, utilities must exercise load management via well-designed rates and other means in order to ensure their customers are charging their vehicles at times when renewables (rather than fossil fuels) are abundant and when the grid can best handle it. By reaching out to their customers through multiple means and languages, utilities can better ensure the robust participation needed in order to bring success. Emphasize vulnerable communities: Plans must genuinely consider benefits to and impacts on communities most likely to be harmed by pollution. Environmental Defense Fund (EDF) recommends a minimum percentage of charging stations be placed in these communities where applicable, and that all projects focus on enhancing transportation electrification in areas positioned to benefit them most. Earlier this year, New York State committed to the purchase of two thousand electric vehicles by 2025, more than doubling its current fleet of government automobiles. Decentralizing the electric grid so customers can make and buy renewable energy, New York is working toward a future where EVs and less pollution are commonplace. Developing favorable electricity rates to encourage charging of EVs at times when renewable energy is readily available and affordable. This way, EV adoption will benefit the grid and the environment. Con Edison’s Smart Charge NY program, an early stage effort in New York City, is paving the way for mainstream EV use; the results will be an example for how other cities can adopt the policies and tools necessary to seamlessly integrate EVs. Goodbye, internal combustion! Electric Vehicles are rolling in. With over 300,000 EVs and more than 12,000 charging stations, California leads the nation in clean car sales. Moreover, that number is poised to grow rapidly ‒ California EV sales rose 91 percent in the first quarter of 2017 from the same time last year. The California Air Resources Board (CARB) has reaffirmed its commitment to maintaining stronger vehicle emissions standards. Volkswagen updated its plan for investing $800 million to accelerate electrified transportation in California, with input from CARB. Senate Bill 350 (SB 350) prioritizes widespread transportation electrification. In Los Angeles, half of all municipal vehicle purchases will be electric starting this year, and that share will increase to 80 percent by 2025. The city is also moving forward with a pilot EV ride share program to extend their benefits to communities with fewer car owners. Moreover, as part of SB 350, investor-owned utilities filed applications with the California Public Utilities Commission (CPUC) for investments in light-duty, medium-duty, and heavy-duty sectors. The utility plans in particular represent an exciting new opportunity to accelerate electric transportation in all its forms. With planned projects from placing charging infrastructure for passenger EVs in single family homes, to providing car dealers with incentives and education to sell more EVs, to electrifying buses and ship ports – and everything in between – these plans are well-designed to clean the sector most responsible for harmful emissions. Still, changes to the utility proposals would further strengthen them. EDF recommended to the CPUC that the plans focus more on load management as well as the other key elements listed above. Despite obvious benefits, widespread EV adoption around the U.S. faces a number of challenges. For example, some analysts believe that even California will need another 200,000 charging stations to properly serve the number of EVs expected by 2030. The internal combustion engine has had a long run, but it’s about to burn out. As we work to address domestic barriers to EV adoption, it is important to note that even if it is a global effort, this is a race the U.S. may need to catch up on. As the electric vehicle market continues to flourish, EDF will continue to advocate and make sure environmental benefits follow financial rewards. New York’s REV Proceeding Envisions a New Clean Energy Marketplace – but How Clean is it? This entry was posted in Clean Energy, Electric Vehicles, Electricity Pricing, General, New York REV. Bookmark the permalink. Both comments and trackbacks are currently closed. There is an interesting conundrum here. Power generation produces the most pollution and cars produce the second highest. So if we take cars off the road and run them on power generated by utilities we swap the second highest pollution level for the highest level. Admittedly, renewables will alter that a bit but most electric cars will be charged over night when renewable sources (mostly PV and wind) are at their lowest. Isn’t this a shell game? Thanks for reading, Donald. We agree, it’s imperative to make sure that more EVs don’t just swap one pollution source for another. That’s why EDF advocates for policies and tools like electricity prices that reward drivers for charging when it can be powered by renewable energy – which sometimes is at night thanks to wind energy. This combined with more chargers at workplaces and other underserved areas can help the transition to electrified transportation be a clean one.